We organize free educational briefings and webinars for students, professionals and others to provide a general overview of WIPO and its work. All face-to-face briefings take place at our headquarters in Geneva, Switzerland [Map]. Simply Contact us indicating which of the above dates you have chosen. For student-led groups, please include a letter from a faculty member supporting your request, plus a full list of participants. For teacher-led and other groups, please include a full list of participants. 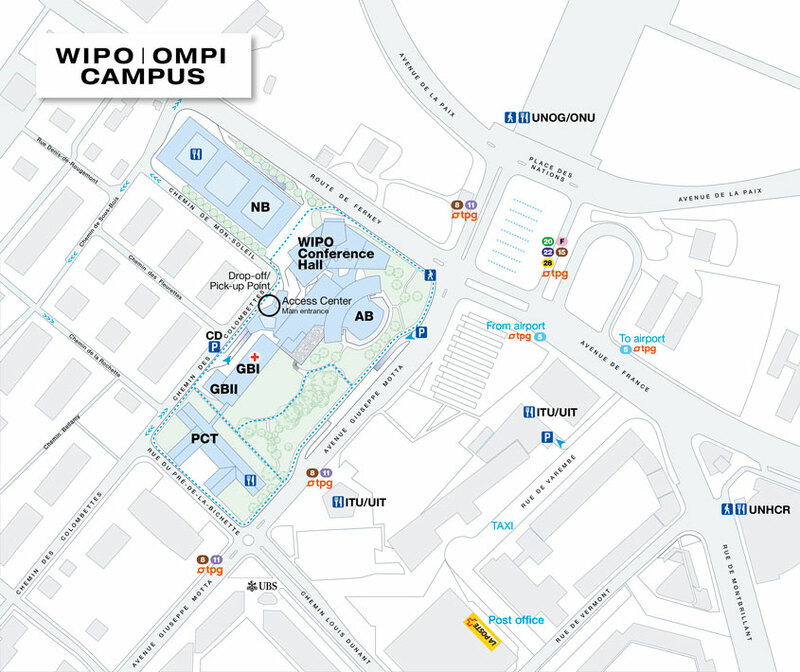 Go directly to the WIPO Access Center to obtain a visitor's badge. Warning – you will need to bring your e-mail confirmation from WIPO and some form of identification. Note – Registration opens three weeks before the event. Interested in a webinar on a specific topic? Contact us! The WIPO Library offers a unique collection of more than 35,000 IP reference materials, ranging from historical legal texts to the most recent IP journals. Visitors are welcome to use library facilities. The WIPO Cafeteria serves lunch every day from 11:45 until 14:00. Daily menus include a wide range of national cuisines and cater to various diets. No reservation is required. The Cafeteria also offers hot and cold drinks and snacks throughout the day.